The circumstances of English settlement of Australia in 1788 are as unique as they are ghastly. Conceived as a self-contained prison, literally on the other side of the globe from the ‘civilized world,’ the colony of New South Wales was supposed to be somewhere that every “undesirable” element from Britain could be banished. What nobody considered was the potential for catastrophe created by the concentration of all the “dregs” of British society in a pressure-cooker environment supervised by gaolers who were not much better than the rabble over which they kept watch. Many from both groups brought with them dark beliefs and worship of things best forgotten. Left unchecked far away from watchful eyes, some of those degenerations festered in ways they never could before. And while those from over the seas introduced their ancient gods to the continent of Australia, there were other forces that had slept in the land for long, long aeons. This supplement allows you to get up and running in this dark and strangely claustrophobic historical setting using the simple rule set of The Cthulhu Hack. You will need The Cthulhu Hack core rules to play. This book covers changes to character generation, equipment, firearms, antagonists, and also includes an adventure. This product is released for free as a Pay What You Want product. 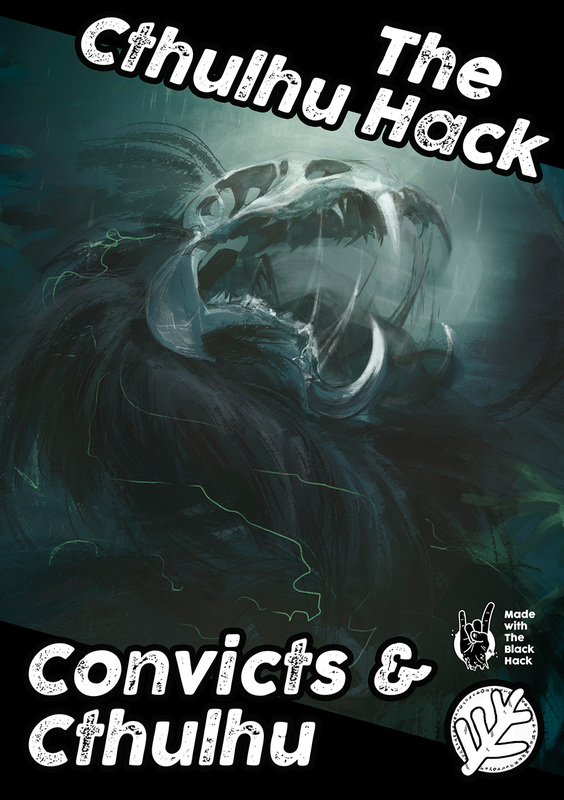 You’re free to download this supplement for nothing, as with the expanded setting material of Convicts & Cthulhu. If you choose, you can pay more than nothing to support the continued expansion and development of the product line for The Cthulhu Hack – but I’m happy to leave that down to you.